Name: Kevin Brian Thomas Jr. Goals: To race professionally, be an ambassador to the sport of racing, & inspire those around me to live their dreams. 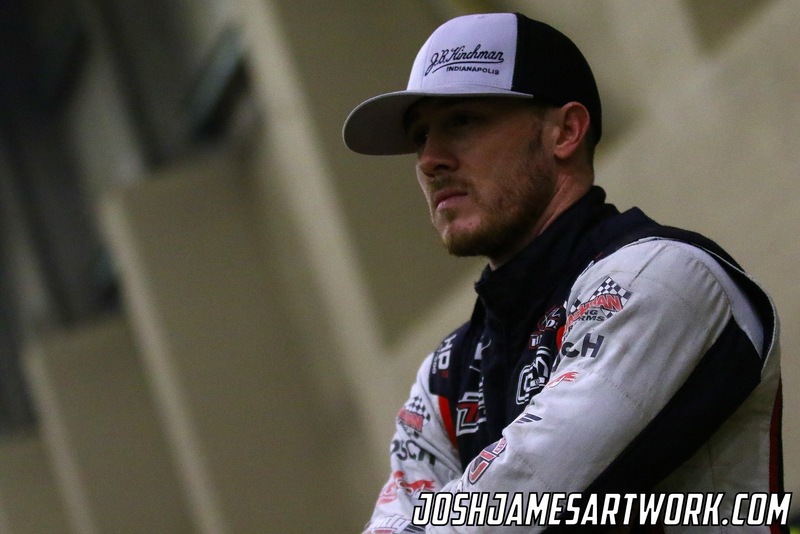 27-Year-Old Cullman, Alabama native Kevin Thomas Jr. started racing at an early age, where he quickly realized he was a highly competitive person. He raced BMX bikes in the late 90’s, and was the State Champion by age 8. He began racing mini-sprints at the end of 2005 and quickly graduated to sprint cars in 2007. Kevin struggled early, but continued to gain as much seat time and experience as possible. In 2013, the USAC National Sprint Car Series voted Kevin “Most Improved Driver”. He earned seven career USAC Sprint Car feature wins in 2013, catapulting him to well deserved notoriety with his peers. 2014 brought a new challenge, as he tried his hand at midget racing. Once again, Kevin proved he could excel in any type of auto racing and was named “USAC Honda National Midget Rookie of the Year”. He went on to team up with the legendary Keith Kunz Motorsports powerhouse, who produced drivers such as JJ Yeley, Tony Stewart, and Kyle Larson. In 2016 Kevin was the winninest non-wing driver in the country with a total of 13 wins in one season. Kevin formed his own team mid-season in 2017 with the help of KT Construction Services, Abreu Vineyards, Jeff's Jam It In Storage, and many other. The newly formed KT Motorsports operates under the N0.9k and went on the win the USAC Indiana Sprint week title and the Budweiser Oval Nationals. Kevin went on to be names the Bell Athlete of the Year, the North American, Non-Winged Sprint Car Poll "Driver of the Year", and the winningest non-winged driver in the country for the second year in a row. 2018 brought a new opportunity for Kevin when he was named the driver for the legendary Hoffman Auto Racing No.69. The team brought home 7 USAC National wins, won the Budweiser Oval Nationals, broke the sprint car Quick Time record with 15 in a single season, and finished in the first ever tie for the USAC National Sprint Car Championship. Kevin was awards runner-up honors after the tiebreaker was determined by wins. For the third year in Kevin was names the winningest non-winged driver in the country, and racked up a total of 21 wins across four divisions of competition. After 17 years of winning, Kevin is one of the elite competitors in his sport. Kevin is an active user of social media, providing great interaction with his loyal race fans. Away from the race track Kevin enjoys playing golf, watching the Alabama Crimson Tide play football and spending time with his wife Whitney & their two dogs.